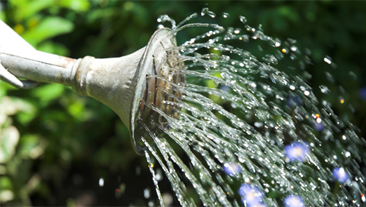 In addition towater and sunlight, fertilizers are very important to plants. 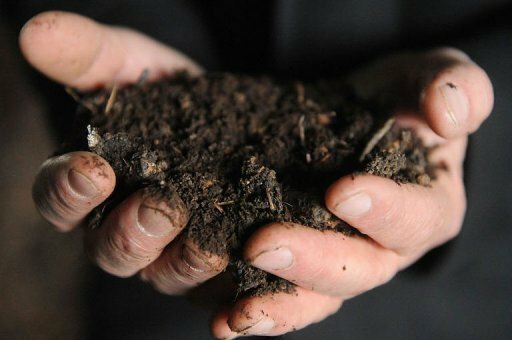 If you have good well-loamed soil, you can easily do without them, however, if the soil has suffered exhaustion from seasons of planting and harvesting you will need alternate compost. It is imperative that you choose your fertilizer wisely for the particular plants, in order to satisfy their nutritional requirements, and achieve optimum yield and growth. Normally, you will different kinds of fertilizers, and each one has a specific use. You will need to use at least two types in a garden for planting and topdressing. You must also understand the composition, which normally contains three major ingredients, which are nitrogen (N), phosphate (P), and potash (K). A good product will have a good balance of all the ingredients or have one ingredient in larger quantity depending on the usage. For instance, if you want a lawn to grow fast, use one that has more nitrogen. These are normally synthetic or artificial, and are most appropriate when plants are almost dying due to lack of nutrients, since they help infuse nutrients into the plants. This fertilizer contains ammonia as a byproduct, which malnourished plants need for immediate relief. Hence, if you find that after planting the plants are malnourished, choose your fertilizer wisely and ensure that it has ammonia. These are good for nourishing plants as a top dressing, because they allow the nutrients to seep into the roots where they are required the most. Yet the effect is normally short term hence you will need to keep using it throughout the life of the plants. If you have a large area to fertilize, they may be uneconomical, while at the same time, they do not perform very well for plants that grow in well-drained soils. This type is increasingly becoming popular these days. The reason that it is popular is that it releases the nutrients over time, normally from 2 – 6 months, and reduces the chances of scorching plants because of the slow release nature. While fertilizing plants is good, overdoing the same can be harmful to them, this is the reason that you must choose your fertilizer carefully and ensure that you give the plants only the required nutrients. These fertilizers have a specific nutrient percentage formula meaning that you will neither under nor overfeed the plants. When you use a fertilizer that contains a pesticide, you perform two tasks at the same time. 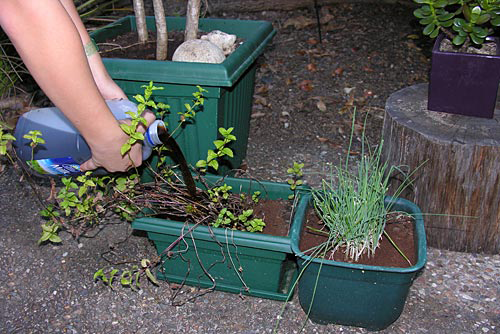 You allow the plants to get nourishment while you protect them from damaging pests. The additional benefit that you get from this type is that they become much cheaper in the end, though you must ensure that the two products balance well. Each of the above has its advantages, but you must understand your plant needs and the soil in order for you to choose your fertilizer correctly, while accounting for the basic fertilizer composition.